Caldera TotalColor is the ultimate and most complete solution for color management and profiling. TotalColor’s automatized table measures media both opaque and transparent with a changeable measuring aperture of 2 and 6 mm (8mm fixed aperture for textiles) for high and low resolution prints, with plain or structured face. The TotalColor table has the ability to read materials up to 20mm thick. 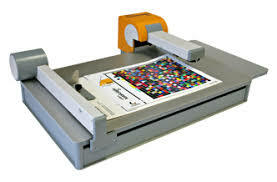 The following materials printed on large format inkjet-printers can be measured automatically: textiles, glass, backlit film, papers, vinyl, cardboards, plastic plates, gypsum plates, wood, stone and ceramic plates.